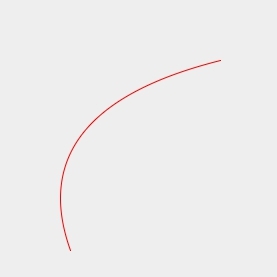 Creates a quadratic bezier. Quadratic bezier has 1 control point. Array of X and Y value for start point. Array of X and Y value for control point. Array of X and Y value for end point. Color of the curve. Accepts hex string or a Color object. Defaults to black.